Popping in to wish everyone a truly wonderful day. not too hot, not too cold, not too damp, not too windy. Perfect.....and quite rare for Ohio. with you - my sweet and special friend. There isn't a thing I'd love better right now! as we peacefully enjoy one another's delightful company. we have had together over the last few years. Tea time is so much better taken outside, is it not? It brings one's thoughts of gentle days of the past. 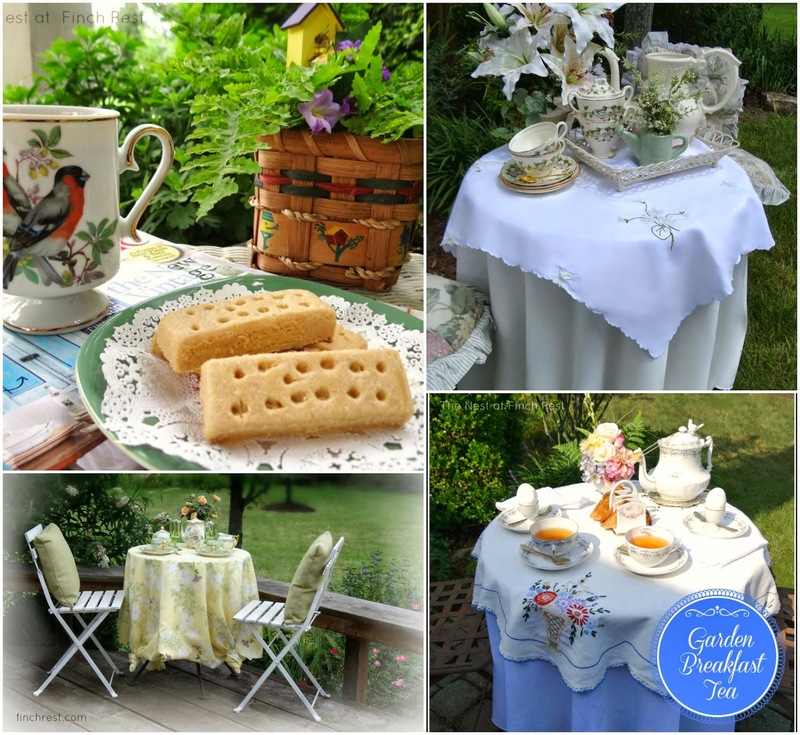 gardens and frequent tea parties even possible! you were born in the wrong century? to the beautiful ladies of that era. to listen, to learn and to CARE. stressful treadmill in our lives. consider how nice life can be just slowing down. Even just a little bit....as a gift to ourselves. I wish for you long leisurely days of quiet rest. I bid thee well, and ask God to grant you peace. Ahhhh...lovely! You have created a lovely tea time oasis in the middle of a wearying world. Perfect weather? Awesome! Hope it lasts a very long time. 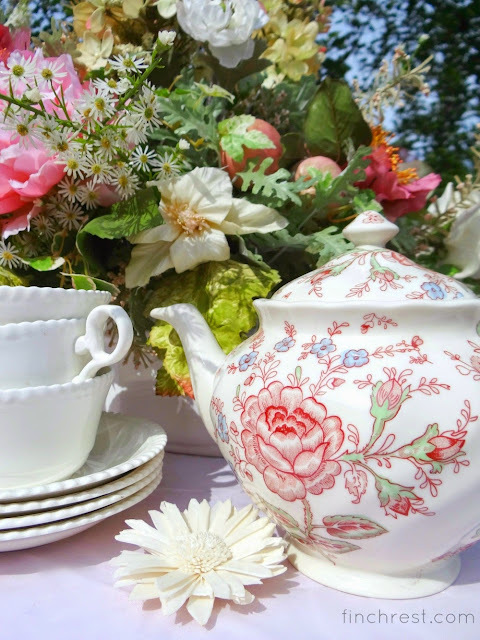 Such a wonderful setting, you created a wonderful afternoon tea haven. The weather has been quite enjoyable here too I managed to get the lawns mowed. Have a great weekend. Lovely Michele. Would love to come and visit over a pretty teacup and flowers, have a sweet chat while listening to the birds singing. Yes, glorious summer days are here. So charming - thank you for sharing your tea time! Hi Michele! What a beautiful post and wonderful advice! I loved seeing all of your pretty tea settings. We do get so busy at life sometimes that we forget to take care of ourselves by resting. You've been in my thoughts and I hope you're doing well. Well....I think your home is as beautiful as an old country manor and you definitely know how to do a beautiful and proper tea. So there!! Love to you and have a wonderful holiday. And thanks always for your visits---I appreciate them more than you know. I so enjoyed my tea with you in your lovely outdoor setting, Michele. All your china, linens and table settings are sooo pretty. I'm glad you're having some beautiful weather in the great state of Ohio. Beautiful Michele, I'd love to have Tea with you, one more time, to be still and enjoy the moment, to listen to the birds as they sing happily without a care, to enjoy God's nature and all He has given to us! Have a blessed and peaceful day, my friend. 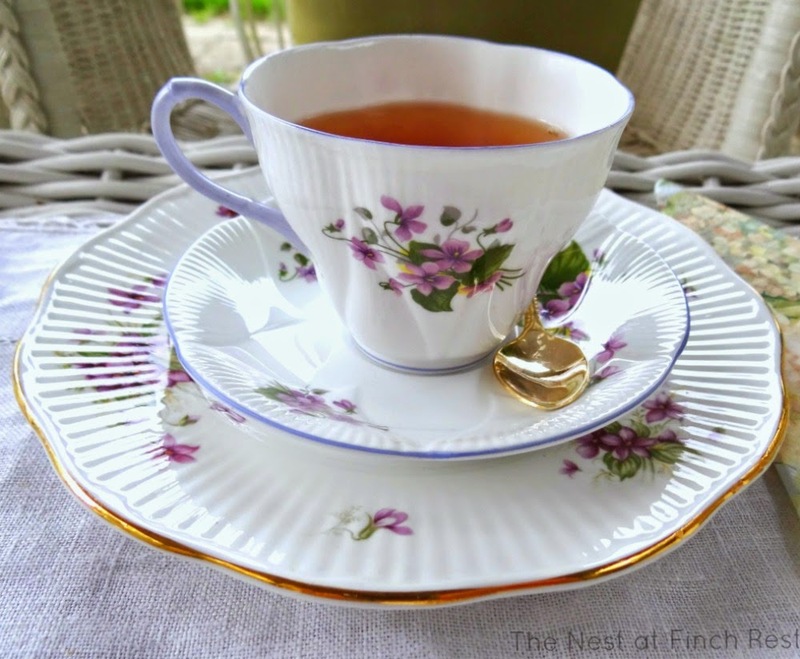 I really enjoyed my tea with you and all your pretty china. 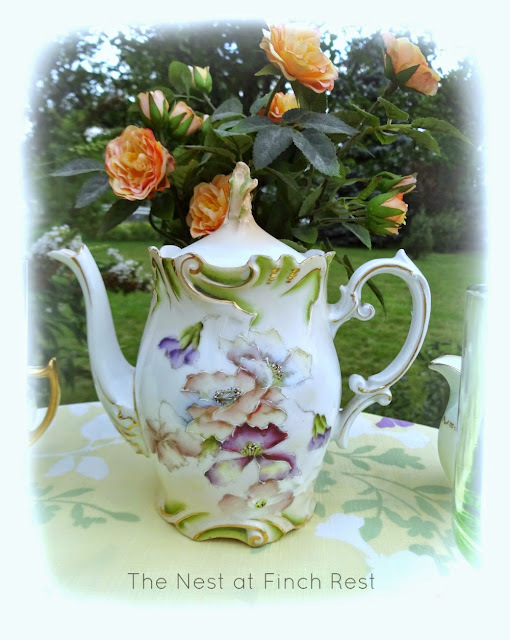 It is lovely to have tea outdoors again with beautiful bouquets. Perfect settings for a lovely teatime, in beautiful surroundings! So beautiful impressions! What a lovely tea time! Hi Michele, What beautiful and inviting settings for tea. Love your photos and your heartfelt words. Wishing you a wonderful Memorial Day!! Such pretty pictures you have shared with us today. Love them all. Happy Memorial Day. So, so pretty, Michele! I can't wait to sip tea outside. Hopefully it won't be too windy this year. Last year we had so much wind that I never once was able to set up a tea table outdoors. LOVE your Bavarian china! Thank you for sharing all of these lovely images and for joining me for tea today. Have a wonderful week, my friend. 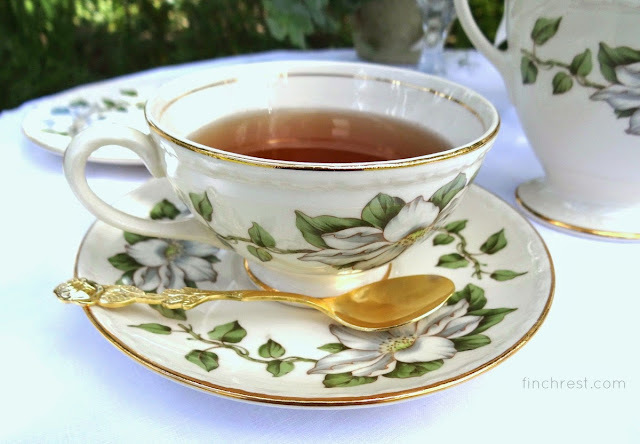 Lovely tea cups, lovely photos, and lovely sentiments! 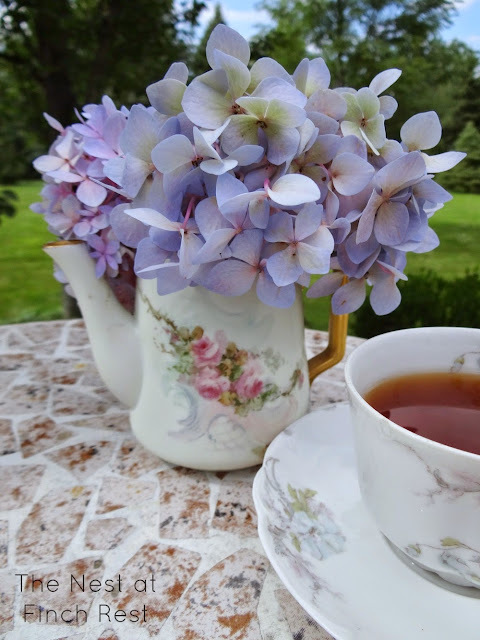 Lovely tea settings and the hydrangea is beautiful. Have a a happy day and new week ahead! 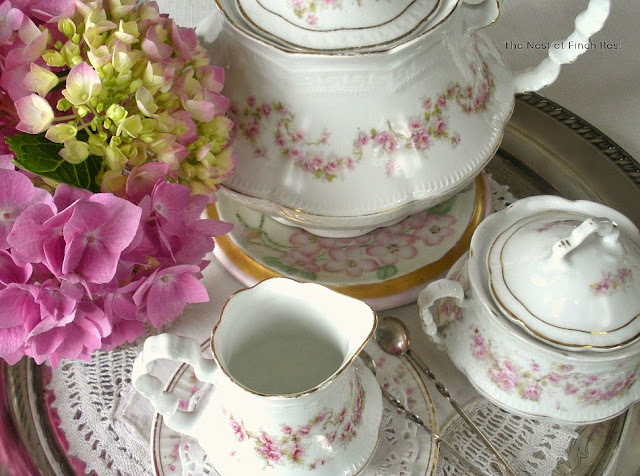 Oh my.... each tea setting more beautiful than the last with the stunning flowers and gorgeous teapot and tea cups. 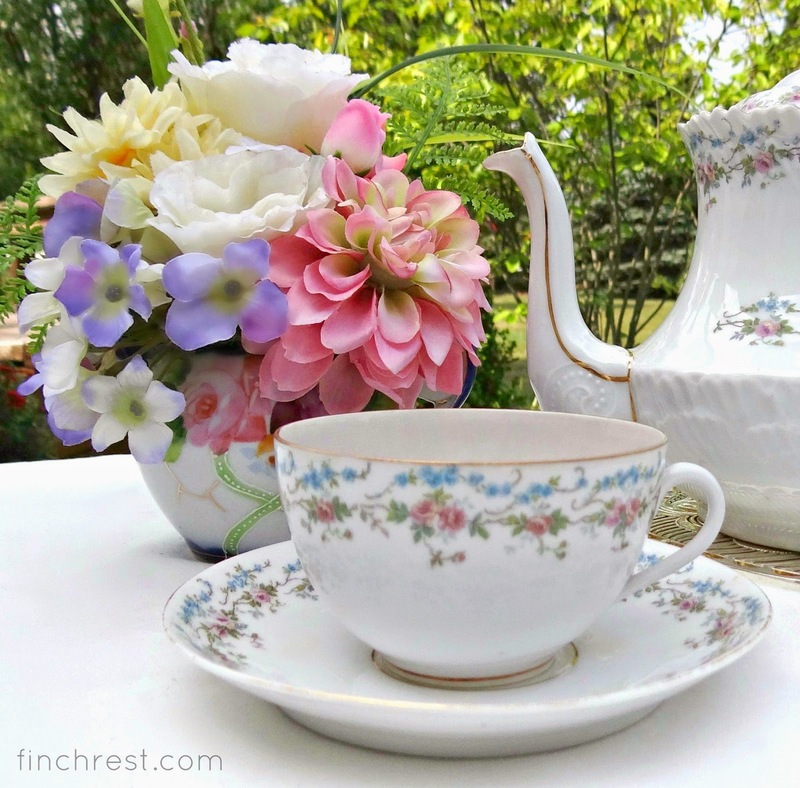 I wouldn't expect anything less than a welcoming and pretty tea table from you Michele since I know how you like to entertain. It really is nice to have tea outside again and I did that very thing while sitting in the tea house with hubby this afternoon. Sadly, I carry a mug down with me but I should be putting my tea things on a tray as we all know tea tastes better in a teacup. 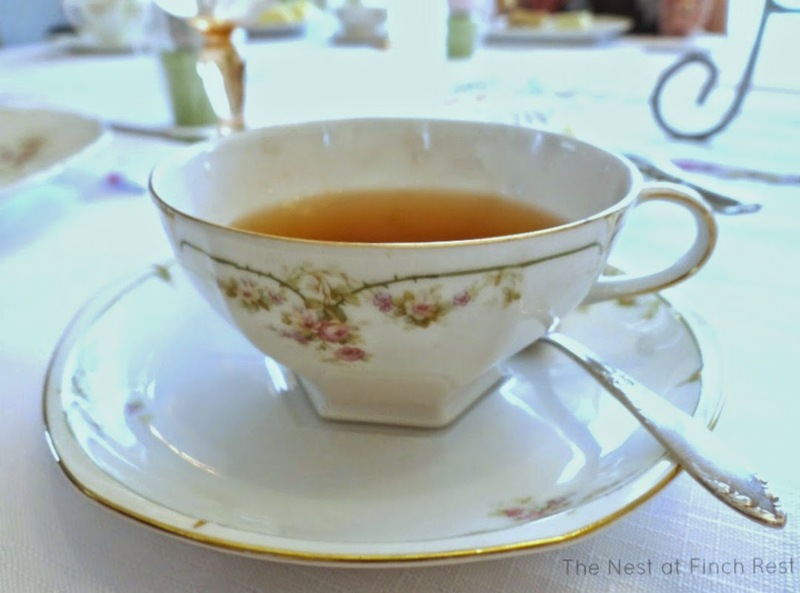 Thanks for linking to Mosaic Monday, I took it as a personal invitation to join you for tea today. Hope you had a nice Memorial Day Michele. So pretty Michelle! 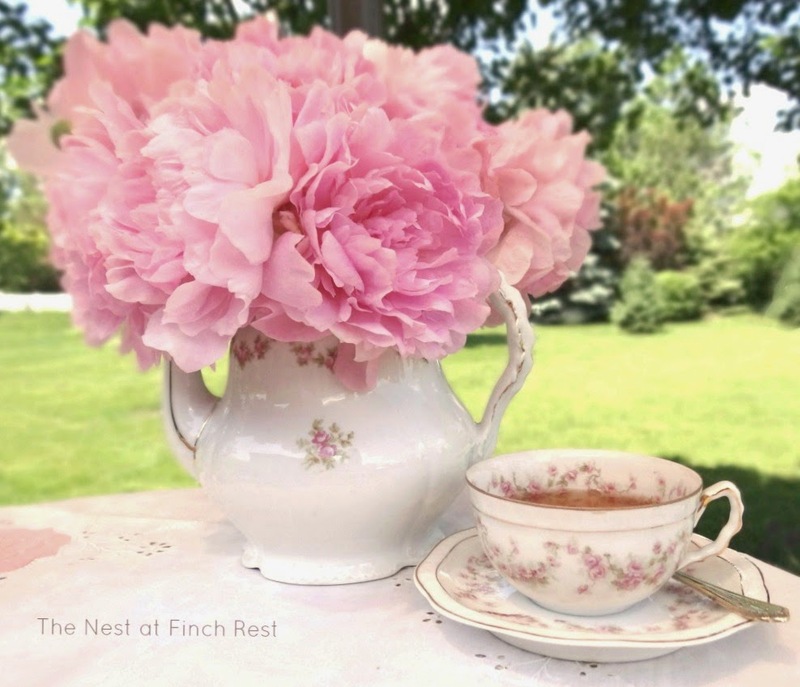 Love your Hydrangeas and Peonies...and all the lovely china! So glad to hear that you had perfect weather for Memorial Day weekend. 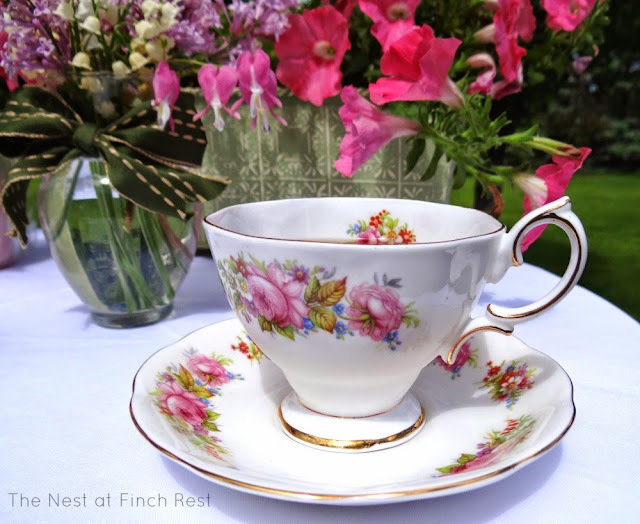 Your outdoor tea photos are beautiful! How pretty your table looks, Michele! I dug out the little tea sets I found at the thrift store a few years ago and set up a "tea" with my granddaughter the other day. She had me unwrap every. single. piece. : ) And she loved every one! It was so worth getting them all to be able to enjoy them with her now at 4 1/2 years old. I will have to set up a real little tea party with her soon. What lovely pictures, Michele, and quiet, inspiring words. Yes, I'd love to live in a manor with a beautiful park to walk in, with staff, of course!! It is rainy here and hot! Glad your weather has been better. I am looking forward to outdoor teatime too. Still in my prayers, dear friend. Beautiful china, a wonderful garden AND shortbread cookies. Lucky you. I posted a comment yesterday...but it doesn't seem to have stuck! 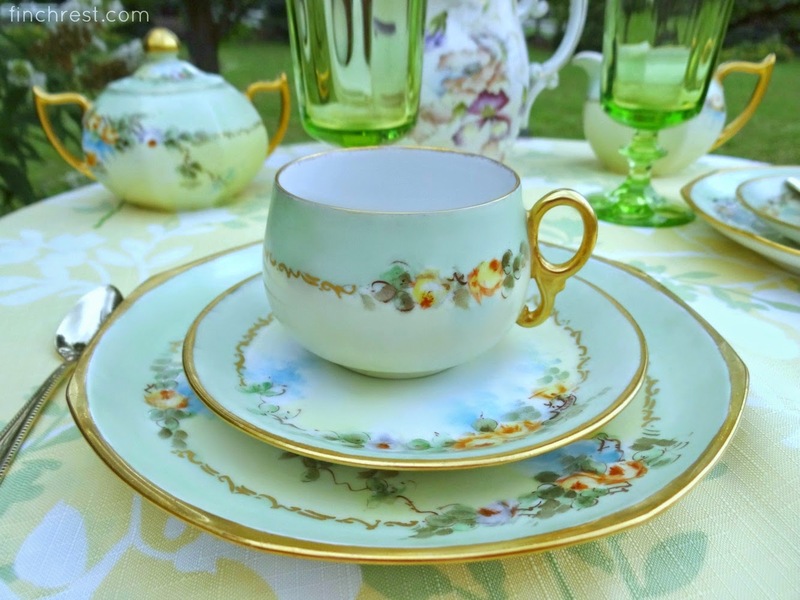 Love all your pretty china...and your garden is lovely! Love the Hydrangeas! Lovely dishes however the set with pretty purples violets is my favorite. 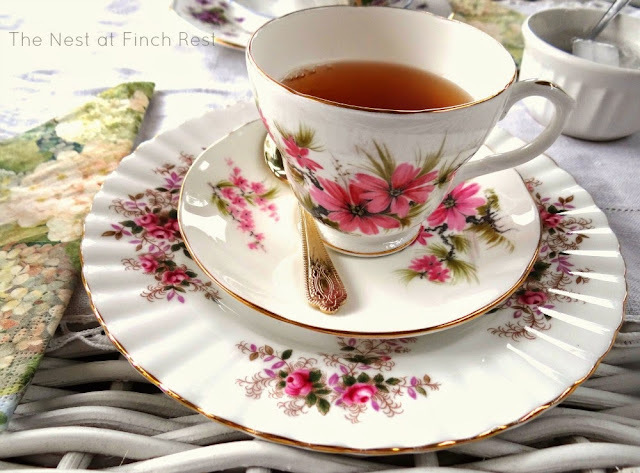 My sweet and lovely Michele, what a joy to be able to join you for tea :) Your post was simply beautiful and it caused me to slow down and enjoy...thank you, dear friend. And thank you for sharing with Roses of Inspiration. Hugs to you! Hi Michele! I just wanted to pop in and let you know that this lovely post was featured today at Roses of Inspiration :) Thanks for sharing! Enjoy your week and happy June! this is so beautiful!! I love this post and all the gorgeous photos. Hi! 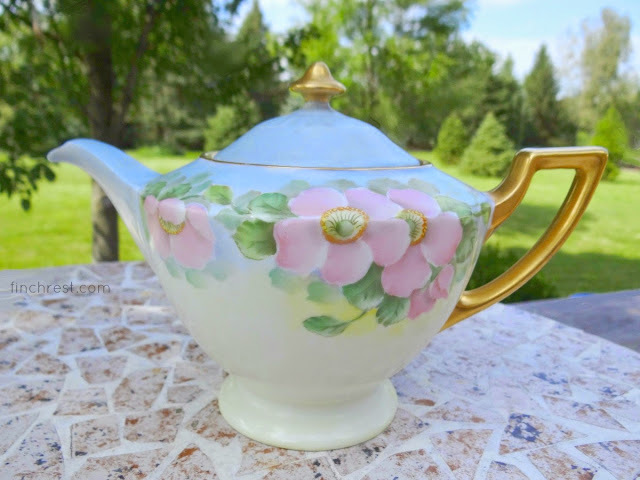 I'm visiting from Roses of Inspiration and thank you so much for sharing your outside tea party with us! You have some stunning teacups and pot! The flowers are so gorgeous...especially those hydrangeas, my favorite! Such a sweet and peaceful post. Blessings! I chuckled when I read your statement that the weather was perfect, . ..rare for OH. How true that is! I'm from GA where there seemed to be lots of nice days and now that I'm moved up here, it is hard to get used to it being so cold or windy or rainy or (occasionally!) so hot all the time! Your pictures are pretty.